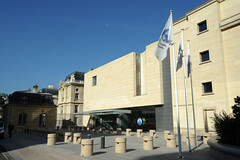 The OECD held a public consultation event on transfer pricing matters on 19-20 March 2015 at the OECD Conference Centre in Paris, France. Online registration is closed. The public consultation meeting was open to the public and the press. Persons wishing to attend this meeting will be able to register on line. No advanced registration is required for this live streaming. Enquiries about the conference should be addressed to TransferPricing@oecd.org.